« Why “Feeling Sorry For Yourself” Makes You Droopy. This English expression has to do with making a big drama out of something that is really not all that important. It is about keeping things in proper perspective. 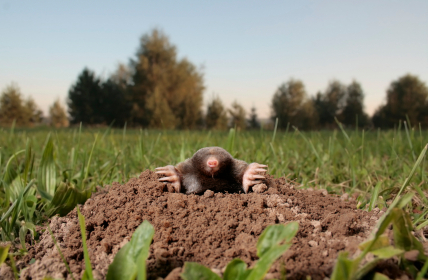 A little molehill is not Mount Everest. But of course making mountains out of molehills is precisely what most people do all the time. The most trivial and mundane issues can stir up major dramas. Bills, gossip, the lives of celebrities you don’t know, the weather — everything is a molehill to go make a mountain out of. If you pick up a magazine from thirty years ago, you will find that a few of the major new issues at hand may still be memorable today. However, everything else is trivia that has already passed out of public awareness. The lives of movie stars in 1970 were very important in 1970. Today they are less than molehills. They are almost nothing. So it is with the dramas people experience in life. While a few of the major headlines may last, most daily drama is extremely trivial in the scheme of things. Matters of deep urgency to you when you were twelve years old are quite meaningless at fifty. And yet people experience tremendous stress around their daily dramas. They suffer, they complain, they nurse grievances. Meanwhile, outside it might be a beautiful day, and they have no awareness of it. Whole lifetimes pass by with people distracted by their little dramas, their molehills, and they never appreciate the beauty of a sunset, or even the laughter of their own children. But it doesn’t have to be that way. You can consciously choose to reduce the experience of drama in your life. This requires the ability to step back from your daily dramas and assess if they are truly mountains, or molehills. Sometimes there are major crises, major upheavals, major traumas. But right now if you are someone with a roof over your head, food on your table, and a basic level of physical health, then very likely the dramas that consume your life and cause you stress are, for the most part, molehills, not mountains. So when you are feeling stressed about some drama, ask: is it really worth feeling so upset about this issue? Do I really need to work myself up over this thing? Do I really need to throw a tantrum over it (even if it is only an internal tantrum)? The path to wisdom and true intelligence lies in being able to discern that most human dramas are “molehills.” At a certain point of evolution, even mountains become molehills. This is not to trivialize human experience, or say that everything is meaningless. Far from it. You are surrounded by profound meaning. A sunset is profoundly meaningful. The divorce of a celebrity you do not personally know is not. By discerning what is meaningful from what is not, your experience of life grows deeper, richer, and more satisfying.